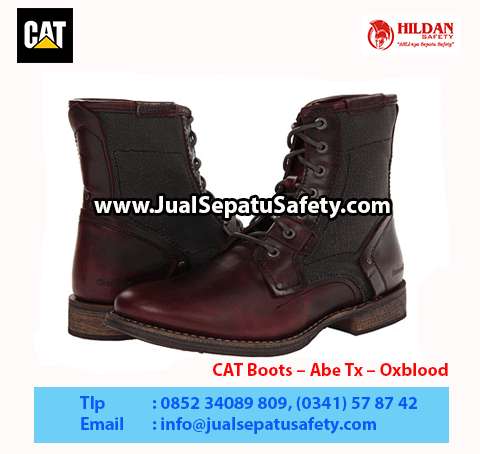 Detail Produk "CAT The Abe Tx Men’s Boot – Sepatu Caterpillar Original"
The Abe Tx Men’s Boot – Oxblood/blackout – P716887. In a beautiful combination of rugged canvas and smooth leather, the Abe TX is something everyone should be talking about. The Abe TX is part of the Legendary Raw Collection, collection that surely lives up to its name..